Expedia.com highlighted local farms and restaurants where you can get the freshest crops and cuisine. In the dusty desert of the Valley of the Sun, it’s striking to come across rich fields of thriving crops. Rows of greenery line the Arizona landscape, juxtaposing the dry heat and rocky horizon. In Mesa, Arizona, the farming scene and its back-to-basics practices are growing in popularity, and agritourism is becoming the next big thing. Agri-what? Agritourism is a travel niche, in which visitors venture to farms to learn about agricultural techniques and processes. At Expedia.com, we’re all about new travel experiences, so we were stoked to discover Mesa’s Fresh Foodie Trail®, an itinerary packed with local mills, marketplaces, and farm-to-fork restaurants. We rounded up some of our top picks, where you can get a behind the scenes look at the farming industry and score some just-picked produce for the ride home. The original Hayden Flour Mills in Queen Creek dates back to 1868, but it has since been revived. Today, the family-run farm is getting back its roots, producing heirloom crops that are hand-cultivated and minimally processed, just like old times. Get the Grain Experience, a tour detailing the milling craft, or join one of the farm’s cooking classes to learn how to whip up some wheat-inspired recipes. Before leaving, stock up on some of the mill’s crops. With cornmeal, polenta, heritage pasta kits, and pastry flour galore, you’ll be baking up a storm in no time. Dine where the magic happens at Schnepf Farms’ Dinner Down the Orchard. This elaborate event unveils an enchanting dining experience in the middle of the groves, where skilled chefs serve a four-course meal of organic fare, specialty dishes, and of course, produce straight from the farm itself. At past events, salmon tartare and pork shank have graced the menu, but Schnepf Farms’ peach pie and homemade vanilla ice cream always make an appearance. Within arm’s reach of the farm’s lush foliage, sip on local Arizona wine and nibble on the latest harvest. The farm hosts the al fresco dinner several times a year and reservations are necessary, so keep an eye on the schedule to snag a coveted seat at this charming table in nature. Who knew the desert offered the perfect conditions for growing olives? The Rea family had a hunch when they planted 1,000 olive trees just outside of Queen Creek in the late 90s. Their main focus was producing extra-virgin olive oil, but they soon ventured into vinegars, pressed oils, tapenades, and stuffed olives, too. Committed to sustainable farming practices, without the use of pesticides, this eco-conscious mill features a gourmet marketplace, daily olive 101 tours, and even an eatery with dishes that incorporate the farm’s own extra-virgin olive oil. 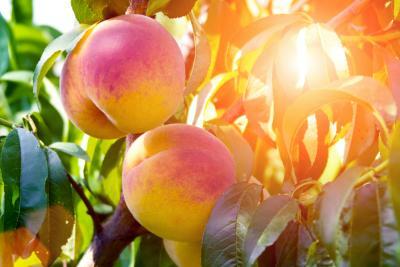 Swing by for some local chili olive oil and peach caponatina tapenade, and discover the ins and outs of olive farming. Roll down the windows and you’ll smell the blossoms before you even see the groves at Orange Patch. Home to more than 100 acres of citrus, Orange Patch has been producing sweetness since the 1960s. 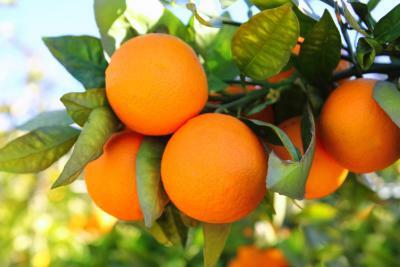 The orchard provides tours of the picking process and invites you to pluck fresh Arizona citrus straight from the source, while the market offers a bounty of produce, honey, and local goods. Peel back the rind of a sweet tangerine or take a bite out of a tangy Rio red grapefruit. The crops are especially excellent during January and February, but the market closes at the height of summer when the picking season is complete. Joe’s Farm Grill is a model student for farm-to-table service, as it picks its fresh, organic ingredients right next door at Agritopia, while the meat and herbs not produced on the neighboring farm are gathered from local Arizona suppliers. This farm-focused restaurant is all about simplicity, but its expertly grown produce and dedication to handcrafted fare are what make the cuisine really wow. The chefs hand bread onion rings and concoct sauces from scratch. The Portobello mushroom sandwich with Green Goddess dressing is a farm favorite, while the baby back ribs doused in Joe’s Real BBQ sauce are finger-lickin’ good. Whether you’ve always wanted to learn how a flour mill works or simply have a hankering for some perfectly ripe fruit, hit the Fresh Foodie Trail® and check out these local hot spots around Mesa.